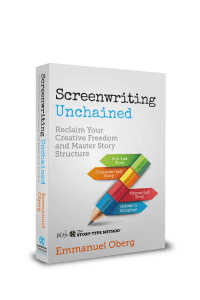 SCREENPLAY Unlimited started publishing in 2016 with Emmanuel Oberg's bestselling book introducing the Story-Type Method, Screenwriting Unchained. This is the first volume in the Story-Type Method Series. Four more volumes are scheduled for publication in 2018-2019. Information on these upcoming volumes will be added here soon.